If you can cook rice, you can definitely cook quinoa. IT’S SO EASY! Quinoa is MUCH healthier than rice and tastes much BETTER (yeah!). Quinoa only takes 15 MINUTES to cook and all you need is water, a pan and a stove. Better yet, a rice cooker! So that YOU don’t have to do the cooking. – Remember! The ratio to cook quinoa is 2 cups of liquid to 1 cup of quinoa. Now it’s time to try your freshly cooked quinoa with our delicious, nutrition-filled recipes which are ALL equally EASY to make! 1) Rinse RESTORE™ Bolivian Quinoa with cool water. 2) Place the pot/wok on the stove. Add the cleaned quinoa into the pot. 3) Add the liquid ( Water/Chicken Broth/Vegetable Broth/Beef Broth and turn the heat on “High” to bring the quinoa to a boil. 4) As the quinoa heats up to a boil, add your seasonings. 5) Once the quinoa is boiling, cover pot and reduce heat to “LOW.” Cook for 15 minutes. 6) After 15 minutes, turn heat OFF and open the lid. 7) Fluff the quinoa with a fork. 8) If too moist re-cover and leave for 5 minutes with HEAT OFF!! 9) Your quinoa is now READY to serve (and eat!). 2) Then, add the cleaned quinoa into the the inner pot of the Rice Cooker..
3) Add the liquid (Water/Chicken Broth/Vegetable Broth/Beef Broth ). 4) Press “Start” on the rice cooker and let it to do its thing. 5) Once the rice cooker has cooked the quinoa, fluff it with a fork. 6) If still too MOIST close rice cooker and allow to sit for 5 minutes. 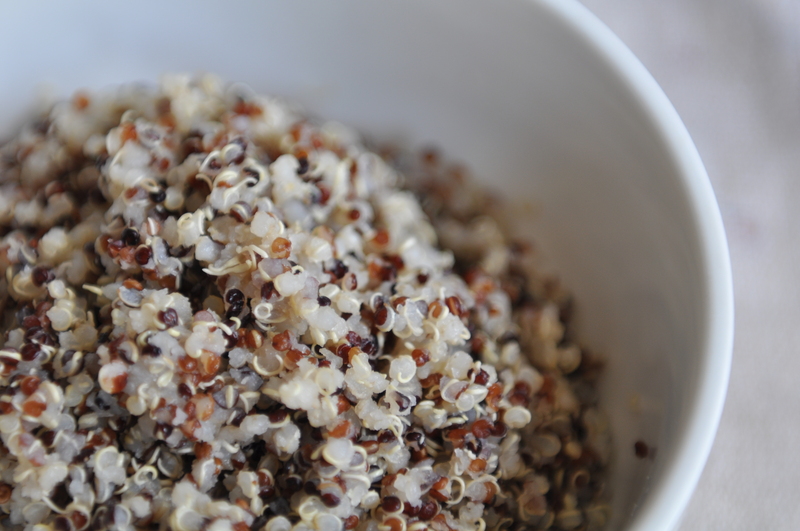 7) Your quinoa is now READY to serve (and eat! ).